Blackwork Star cross stitch pattern... 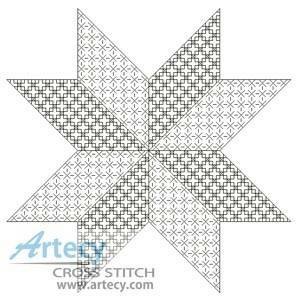 This counted cross stitch pattern of a Blackwork Star design was created by Tereena Clarke of Artecy Cross Stitch. Only back stitch or Holbein Stitch is used in this pattern.